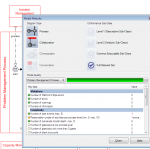 Vizi-Modeler is equipped with a powerful validation module, which can be run either automatically or manually to inspect your model for quality and errors. 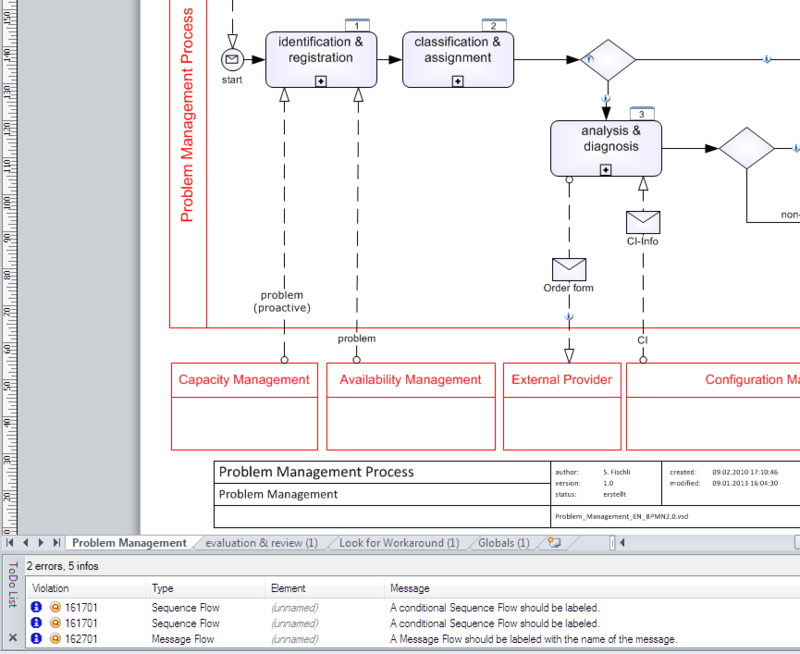 Through the validation capabilities of the Process Modeler, you can hone your business process models with ease to the best quality. 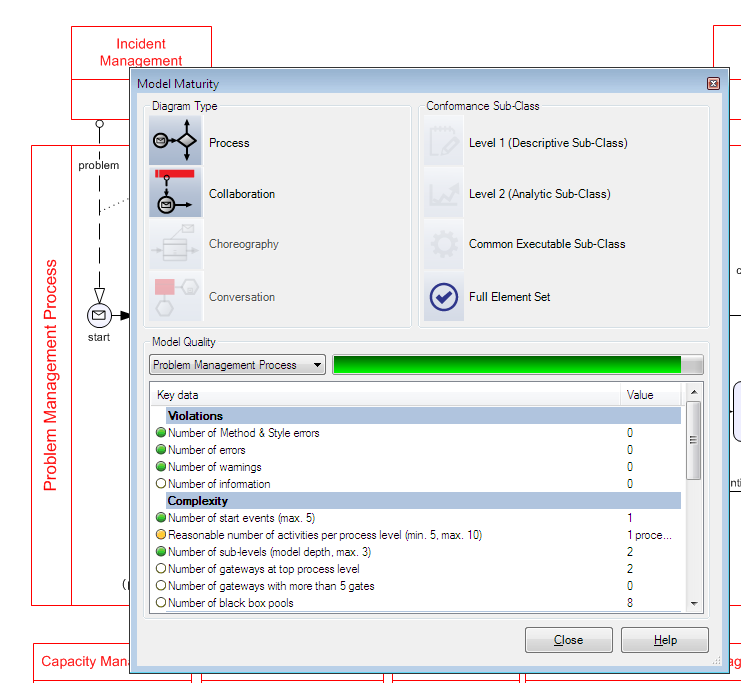 Your diagrams are validated on demand or at run time and show you violations against the official BPMN 2.0 specification. 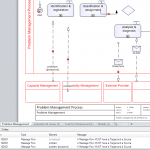 Process Modeler includes a powerful validation module, which can run automatically or manually to check the syntax of the currently displayed BPMN diagrams. Any syntax errors in the modeling will be marked with an icon and appear in the to-do list. This list contains details of the error and their solutions. The degree of error (Error, Warning, Info and Hidden) can be easily modified and remapped. Other syntax validations such as BPEL, XLANG/s, Simulation, XPDL can be run as well, if needed. There are also other syntax validation sets such as XPDL, simulation, BPEL and XLANG / s validation , which can be turned on or off, according to your needs. To ensure that your models are easily legible, you can use the validation functionality to conduct a review in accordance with the rules of Method and Style by (Bruce Silver). 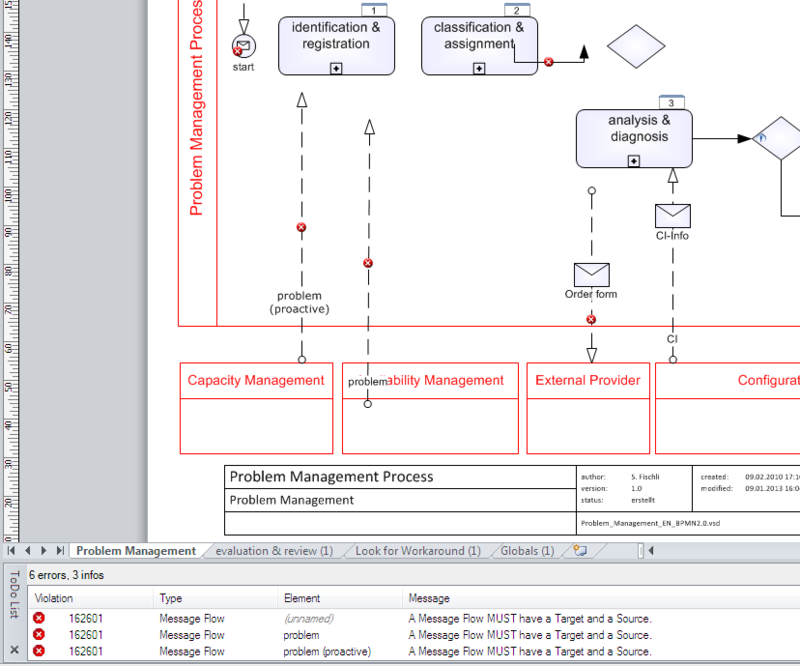 Method & Style is a set of rules, conventions and recommendations that leads to a meaningful and consistent use of BPMN. 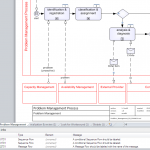 It leads you to simple, readable and executable process models. The evaluation of the quality of your diagrams is provided by a set of reliable statistics. Alongside syntax and Method & Style validation, you also get much more information indicating correctness, complexity, expressiveness, and more.